Aluminum is much lighter than steel and relatively strong. Since it doesn't rust, it seems like the ideal metal for ships. However, no one uses aluminum for fighting ships because it can catch fire when hit, which produces intense heat that cannot be extinguished with water or regular fire extinguishers. In fact, aluminum is so volatile that powdered aluminum is a prime component in rocket fuel. The US Air Force 15,000 BLU-82B bomb contains 12,600 pounds of low-cost GSX slurry (ammonium nitrate, aluminum powder, and polystyrene). The frigate USS Belknap was severely damaged in a collision with the aircraft carrier John F. Kennedy on 22 November 1975 off the coast of Sicily. A fire broke out on Belknap following the collision, and during the fire her aluminum superstructure was melted, burned, and gutted to the deck level. The British built a few frigates with aluminum in the 1970s. During the Falklands war, one of these ships, the HMS Sheffield, was hit by a single Exocet anti-ship missile. The damage was not fatal since the missile failed to explode, but its rocket fuel torched the Sheffield's aluminum hull, which ignited and burned until it sank. In contrast, the steel hull frigate USS Stark was hit by two Iraqi Exocet missiles in 1988 and survived. Another disadvantage is that aluminum is less resistant to damage. A heavy machine gun round, rocket, or land mine striking a steel hull makes a small hole. However, cast aluminum shatters like plate glass. Hits cause large holes as hundreds of aluminum fragments blast forward causing casualties. The US Army learned this when it tested early versions of the aluminum Bradley infantry fighting vehicle. In the Bradley tests, small RPG explosions caused only minor damage, but ignited the aluminum body and caused most vehicles to literally burn to the ground. Even worse, burning aluminum produces deadly fumes which instantly kill anyone inside. Only after heavy criticism and actual live-fire tests did changes occur. 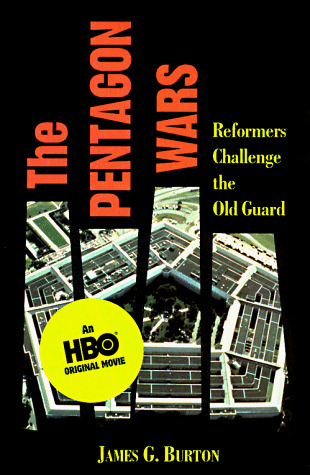 (see "The Pentagon Wars", by J. Burton, pp. 136-193) A steel armor coat was added and "spall liners" were installed inside to catch fragments. The latest model of the Bradley has an all-steel body. The Israelis learned that aluminum armor can ignite during their 1982 invasion of Lebanon. According to one account, "PLO ambushes of Israeli columns with RPGs caused extensive casualties, in part because of the tendency of the M113’s aluminum armor to catch on fire after being hit by anti-tank weapons. In some IDF units, men became so frightened at the possibility of RPG induced fire that they simply walked next to them or rode outside rather than risk being burned to death. By the time of the siege of Beirut, armored personnel carriers were only used to carry supplies to advancing troops, always stopping at least 100 meters behind enemy lines." The Marine Corps wisely chose steel armor for its fleet of Light Armored Vehicles, but designers of the Corps new Advanced Amphibious Assault Vehicle (AAAV) chose aluminum in order to limit weight and corrosion. When I criticized this in a letter to the Commandant in 1996, the AAAV program managers argued that the aluminum hull will be covered with composite armor, and removed all references to aluminum in their sales literature. Hopefully, the Marine Corps will conduct some realistic live fire tests at the AAAV, which must include the simple Russian RPG, whose shaped warhead "torches" through armor. Companies continue to make aluminum armored vehicles because of their lighter weight, but if such vehicles are ever employed in heavy combat, soldiers will discover why aluminum is used as rocket fuel. I read your article about M113 and aluminum hull burnt to the ground, but the Aluminum Federation pretends - of course- that aluminum plates cannot burn: http://www.alfed.org.uk/fire.htm and that the HMS Sheffield was actually all-steel. More conclusive evidences would be welcomed on that issue. Ed. I have never found any real studies on this issue. To introduce myself, I have recently completed a a masters degree in Manufacturing Engineering from Warwick University in the UK. My thesis was on laser processing of aluminum. I have a lifelong interest in armored vehicles, although I do not work for a defense contractor. First, I have a few technical comments about the flammability of aluminum. To explain things you really have to go back to basics. Materials want to achieve a lower energy state, in the case of Aluminum and steel they are more stable with an ionic bond between the metal and oxygen. This is basically the process of burning; corrosion of the metals is the same process at a much slower speed. To compare Aluminum to Steel. Aluminum is more reactive than Steel, this is why it costs so much more to extract it from its ore. However, aluminum is corrosion resistant because when it corrodes the surface of the plate is covered by the product of the corrosion. The product of this corrosion is Aluminum Oxide; this is a ceramic and is about the 3rd hardest substance known. The thin coating protects the aluminum under the surface and stops further corrosion. Steel on the other hand when it corrodes the Iron Ferrite peels straight off and exposes the underlying material this is why steel rusts so fast. Aluminum and Iron will burn as will any other metal, if it has a sufficiently sized particle. For both metals it is a very small size. A single plate will simply react on the outer layers however the outer skin will by covered in ash from the combustion and protect the inner plate. The fear soldier riding the M113 had is because it is light vehicle with very thin armour, without any fire suppression systems. However it must be pointed out that in Vietnam it generally took a good number of RGP hits to cause a K-kill on the M113's. In all cases the vehicle burning is caused by the contents burning. The only real difference between aluminum and steel is that aluminum looses its strength at a much lower temperature, meaning that an aluminum vehicle that has burnt will generally collapse. Also to explain the HMS Sheffield situation. The Sheffield was hit by an Exocet missile, the warhead did not detonate, and damage was relatively light. However the fuel from the missile set fire to the ships wiring. The ships wiring was a product of cost cutting and burned very well. 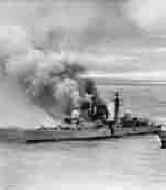 However in the impact the missile knock out the ships single water line meaning that the crew could not put out the fire. Had the lines been working they would have controlled the fire and put it out. There are two reasons why the aluminum was changed for steel in ships. The first reason is that aluminum warships, suffered crack from metal fatigue, the second is that should the ship burn the aluminum melts at a lower temperature and suffers structural collapse, it also conducts heat well and this helps spread the blaze. In a ships this can be a problem because ships are large enough to burn at one end and fight the fire at another. An AFV is far too small for this to make much difference. The conditions that cause a vehicle to collapse are a sustained fire within for a long period of time. A steel hull that is subjected to the same conditions will remain intact but the steel itself will be untempered and the surface layers will be impure and brittle, essentially useless. So why did they choose to use steel for the LAV and Bradley vehicles when aluminum is rust proof? It all to do with the ballistic threat levels, aluminum works best against small arms threats, once you start moving up to HMG's steel begins to gain an advantage. Additionally grades of very high hardness steel are available for thin plates that out perform aluminum. Particular the old 5000 series aluminum that vehicles such as the M2 and M113 use. Appliqué armour for light AFV's tends to be triple or dual hardness steel, google it and see what you get. When aluminum burns it produces Aluminum oxide, either in a residue form or as an airborne particulate. As far as I know this is bio-inert, its the same stuff they make artificial hips out of. Much of the plastics in a typical AFV produce some pretty nasty stuff if burnt, and in an oxygen poor atmosphere like the close insides of an AFV a great deal of carbon monoxide will be produced. Aluminum is used for rocket fuel because compared to most rocket fuels it is relatively dense, this makes for a smaller rocket. However aluminum on its own will not work it needs to be mixed with other fuels (plus and oxidizer) to create a self burning rocket fuel. I don't really know why it is used over Iron but I suspect Aluminum has a higher energy density since the number of molecular bonds broken per unit mass is greater.